Architect John Victor Macka’s Historic Cultural Monument #257, known less formally to locals as “that white house across the lake,” received a hefty price drop this week. Initially listed at $999,975, it’s now priced to sell at $799,500. 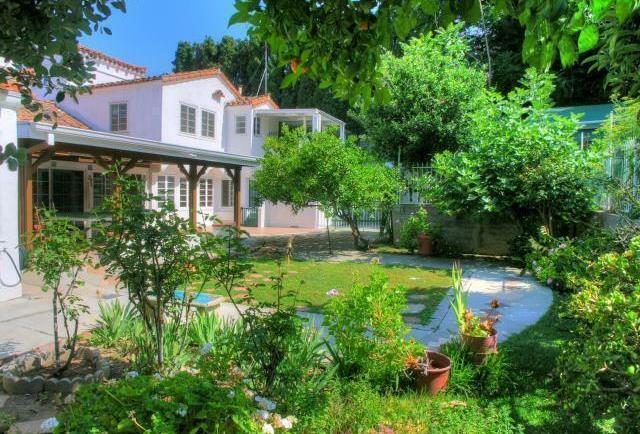 A lush backyard would be perfect for a vegetable garden and a pool. 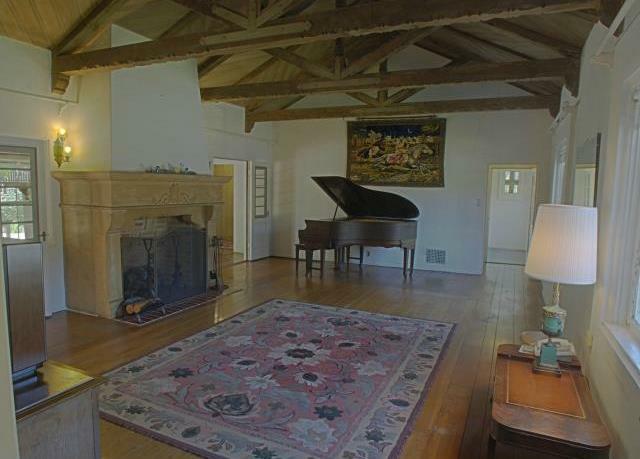 The living room, with stenciled exposed beams, would be perfect for entertaining. Although our Southern Californian warm winters wouldn’t require one, a fireplace would provide the perfect backdrop for an after dinner drink. 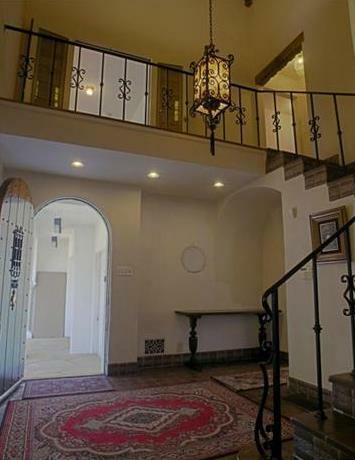 A staircase retains its 1930s flair. 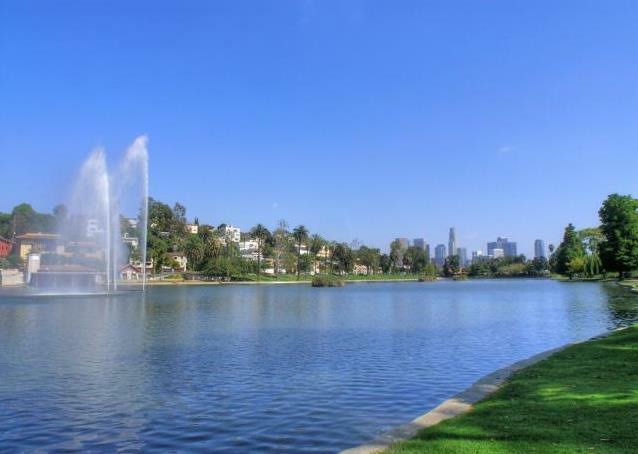 Sure, it may be hard to imagine the true majesty of the Spanish Mediterranean without Echo Park Lake, perfectly framed from wrought iron windows from the living room and a staircase but, come Spring 2013, the home will be complemented by a re-opening of the park. It can be yours now. 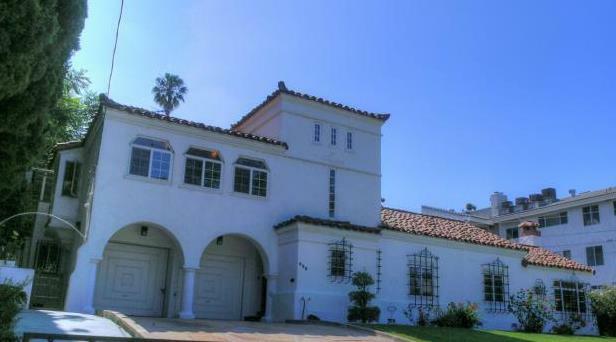 For additional information on this home or others in Echo Park, contact Jovelle Narcise at (213) 718-1110. For more reading on the home, visit here. Claudia Bonis, of Century 21 Paul & Associates, has the listing.